Folks who use screen readers download documents so they can read them. The first piece of information they encounter is the file name. 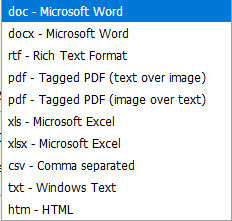 A unique, descriptive file name helps the user understand the information contained in the document. 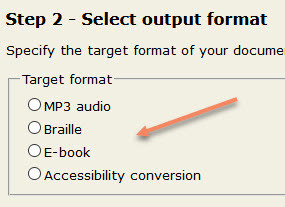 Best Practice: To be accessible to screen readers, file names should not contain spaces and/or special characters. File naming conventions are important for web pages and directories, as well as for downloadable files such as PDFs, Word documents, and Excel spreadsheets. Don’t start or end your filename with a space, period, hyphen, or underline. Keep your filenames to a reasonable length and be sure they are under 31 characters. Don’t use spaces and underscores; use a hyphen instead. Do you have a survey popup window on your home page that automatically opens? This disorients low vision users who cannot see the new window appearing. WCAG 2.1 bans all popup windows without explicit alert beforehand (On Focus 3.2.1 A). New windows take the focus away from what the user is reading or doing. This is fine when the user has interacted with a piece of user interface and expects to get a new window, such as an options dialogue. 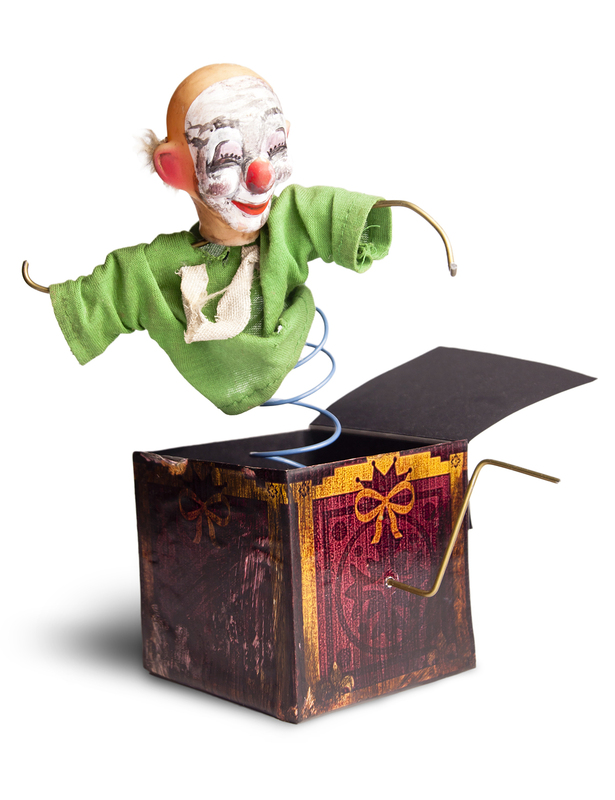 The failure comes when pop-ups appear unexpectedly. Are you using color as a way of instructing visitors about the next action to take on your Web site? Let’s say you have images of two buttons on your Web page. If you instruct folks to click on the red button, you may be confusing the over 108 million Web users who are color blind. WCAG 2.0 Guideline 1.4.1 warns Web designers, developers and content creators about depending solely on color when conveying instructions. 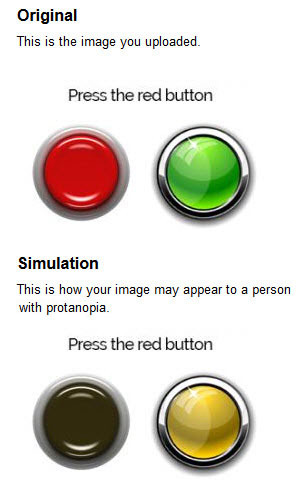 Protanopia: People with protanopia lack the long-wavelength sensitive retinal cones that are required to distinguish between colors in the green-yellow-red section of the spectrum. It is a more common form of color blindness, occurring in between 1% and 5% of males (varying by race) and in approximately 0.1% of females. 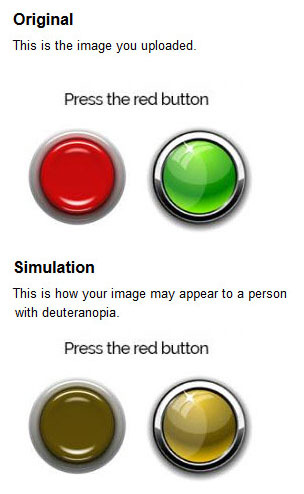 Deuteranopia: People with deuteranopia lack medium-wavelength retinal cones and are therefore also unable to distinguish between colors in the green-yellow-red section of the spectrum. Deuteranopia is a more common form of color blindness, occurring in between 1% and 5% of males (varying by race) and in approximately 0.1% of females. Tritanopia: People with color blindness involving the inactivation of the short-wavelength sensitive cone system have tritanopia, a very rare blue-yellow color blindness. 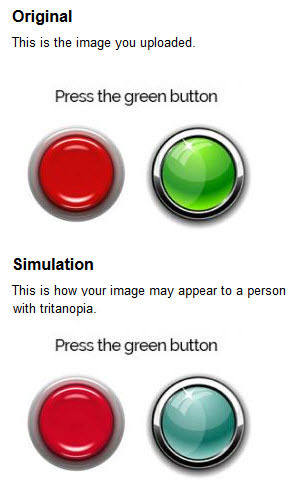 Tritanopia is a very rare form of color blindness, occurring in less than 0.003% of males and females. 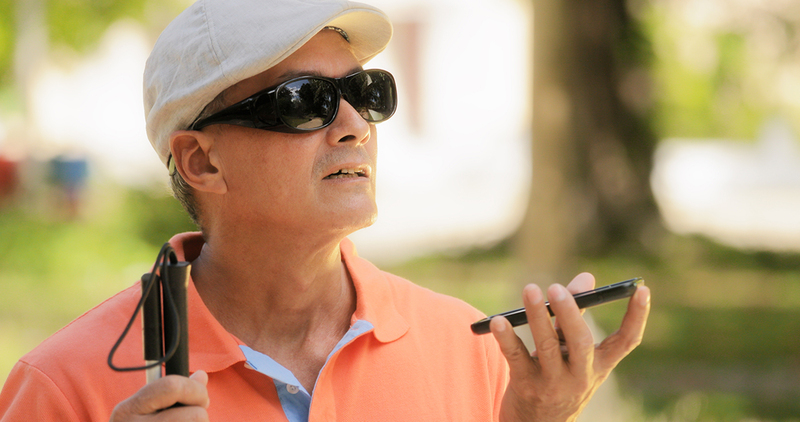 Accessible Best Practice: Don’t use color as part of your instructional content. It will confuse and frustrate your site’s color blind visitors and is considered inaccessible according to WCAG 2.0 Guidelines. Level A Guideline 1.4.1 Use of Color: Color is not used as the only visual means of conveying information, indicating an action, prompting a response, or distinguishing a visual element. Level AAA Guideline 3.3.5 Help: Provide detailed help and instructions.